The summer season comes in with a lot of energy and excitement and with that comes time off and lazy days for the kids. It is one of the best time spans for the kids as they get off from the school but it can be an equally challenging time for the parents as they have to keep idle kids busy with some activities that are productive and knowledgeable. And of course, most of us as parents strive to make the summer holidays for kids as fun and memorable as possible. Vacations, camps, beaches and travels are some of the items that keep kids busy and having a good time! But, like most good things, summer winds down too quickly for most kids. Soon the summer days are running to an end and it’s time for back to school days both for the kids and the parents. The transition from the lazy, laid back time of summer days to a tight schedule of school asks for a lot of organization and preplanning, especially if you are looking forward to a panic free first week after the summer holidays. To make that happen, here’s a few tips. The more you have taken care of all the things needed for the kids to get back into the school groove, the better you will be able to fully enjoy the transition and your kids will make a smoother transition as well. Since, being a parent, you need all the help you can get on this matter, we decided to come up with some helpful tips that are going to give your post summer days a head start and will make the transition to the school year a heck of a lot easier and better. Since the summer holidays are a relaxing time for both the parents and the kids, they are no longer sticking to the schedule of waking up early and getting in bed earlier in the night. Rather, everyone seems to be enjoying the new lazy days, waking up late and staying up much later at night. So as the time for school days start getting closer, you and the kids together should start to transition into the routine and get back on track gradually. Advance prep will make it so that the first day back to school is not one with puffy eyes, grumpy kids with yawning mouths. It’s now time to block out on the calendar the important events and day. Most schools send a schedule and so do sport teams. Don’t forget to note the location of classes and events as well so that everything is easier to find, especially on those first couple of days or practices. Lots of towns and cities have back to school days and deals going on. Schools have sent out lists as long as some books with what kids need to get going this year. Pay attention and start getting these items ordered, bought or planned for. And don’t forget to look for deals! Why pay full price this time of year when you have so many things that you need to get? If you wait until the last minute for these items, you run the chance of stock supplies being down and having to scramble to make sure you have everything. Kids grow up and out of gear faster than you can blink! Do a thorough clearing out of closets, desks, art supply and study areas. Whatever is junk or doesn’t fit – get rid of it. No sense holding onto it and you need to make room for this year’s gear. Create a space where kids can keep their school books and study. The expression, “a place for everything and everything in its place” hold true here! Once kids know where everything is supposed to be, books and gear will be easier to find and keep track of. Kids and the parents both get equally excited about just what the new year might have in store for them. Just like many people do when the New Year comes around, you should set some new and better goals for the year with the kids. Make them set a clear goal for what they want to achieve this year and how they are going to do so. Also do not limit the goal setting to academics only, rather encourage the kids to get involved in the extra-curricular activities and sports as well. They can set goals in these areas as well. You should try to give a good start to the school year and you can do so by making the first day and the first week memorable. If you have set goals for this year, you should start working on them from the very first day. If you are having a tough time with schoolwork, do not hesitate to ask for some help. You can easily find very professional and expert tutors for statistics, mathematics, English, French, geography and all the other disciplines easily and online. Finding some local support in your area can be a lot help too. So whatever suits you, you can go for it without delaying to make sure that you have a tremendous academic year ahead. 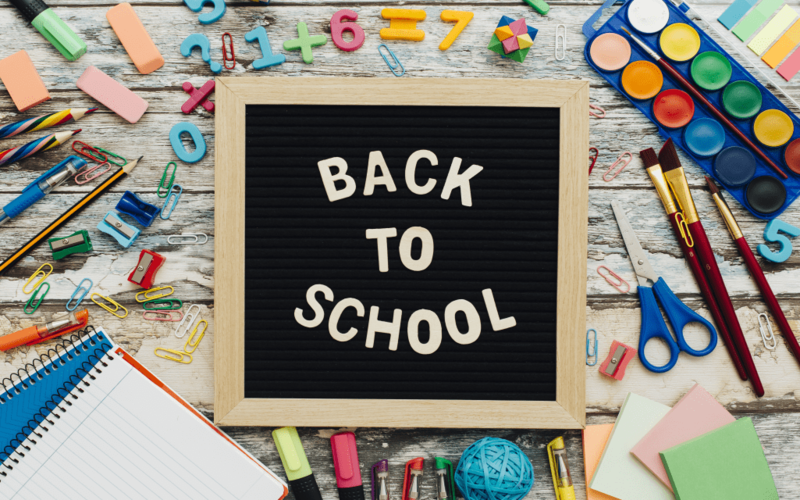 These are just some fast and easy tips to help you get a jump on the quickly approaching new school year! A little advance preparation and you and your family will make a smoother and better transition from summertime fun to the academic year!